"Golden sunshine garden" is located in the new developed area in Jinyun, the west of Cuizhu road, north of Huanglong road, east of natural mountain, and south of Xushan road. With the "human centered" humanistic care, The overall layout tocoordinate the buiding andthe surrounding environment, retain the original topography of the basic spatial pattern. 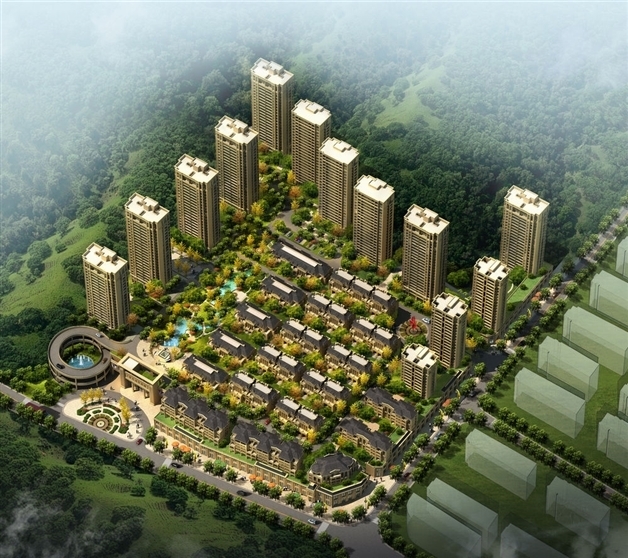 With the mountain lying, melts construction in mountain view, the pursuit of harmony with nature and will cater to the good state.